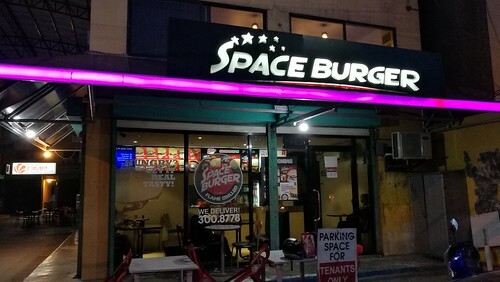 A recent visit with hubby and some friends to Space Burger Bajada fronting SSS office in Davao and near Save More Bajada brought back memories. I remember those days when we somehow regularly patronized Space Burger branches in Ilustre, Gaisano Mall, Damosa Gateway and even the ones they have in SM Davao Ecoland and NCCC Mall whenever we can way back then. During those days, hubby and I usually have Space Burger as a treat on our dates that we both look forward to whether we were then watching movies in the cinemas, doing grocery errand or simply malling. 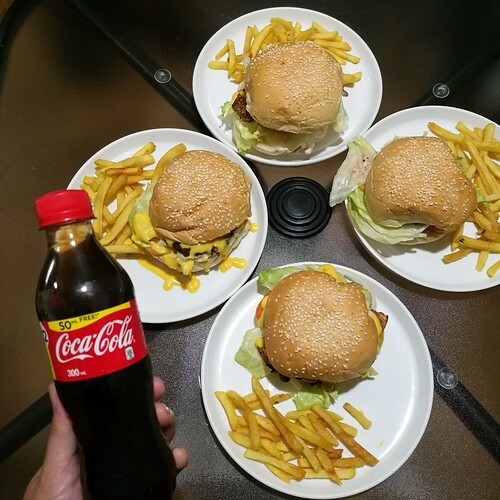 When I eat burger, it is always nice to have an ice cold Coca Cola! While we may have different preferences at times when it comes to food then, we do both agreed that Space Burger patties are one of the best we’ve tasted in the city… an original old fave burger patty. I know many of you, especially those of our age group and our generation who can relate, will agree. It was a cheesy kind of night as we had a treat of extra cheese on our burgers! Actually, my hubby and I would usually order their Space Cheese Burger during our visits then to any of their branches around the city. Now some of their branches offer combo meals. 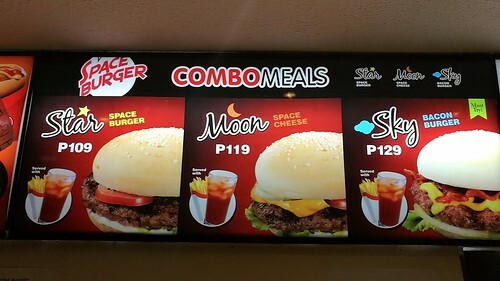 Visit the Space Burger Bajada and Damosa Gateway branches which offers combo meals: namely STAR, MOON and SKY. Each of their combo meals comes with fries and a drink. 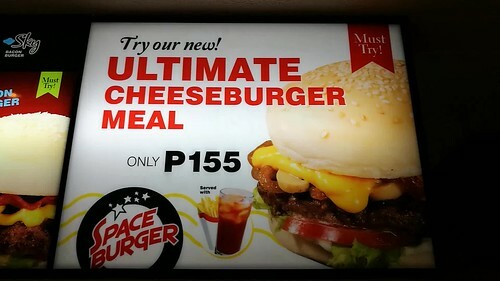 They also have the ULTIMATE Cheeseburger Meal for only P155! JOIN #2 GIVEAWAY treat: *Extended to June 30. Tag 2 friends.* . . .
Tell us what’s your fave burger at Space Burger in the comments below this Instagram post only. Our old time fave was simply the Space Cheese Burger then.? With additional cheese. What about you? We will choose one Instagram follower on June 30, 2017 Friday from those who joined below only. He/she will get one Space Burger ULTIMATE Cheeseburger Meal (served with fries and drink) treat from us @DavaoFoodTrip at their Bajada SSS branch. Tell your friends to join! Do FOLLOW us @DavaoFoodTrip on Instagram and please join our Space Burger ULTIMATE Cheeseburger giveaway. Don’t forget to tag two of your friends to follow us and join as well. We will choose one of our Instagram followers who joined on June 30, 2017.